While doing an 18th century demonstration recently, several people asked how the walls in the fort were painted. That seems a reasonable question so that is the topic of today’s post. There were multiple reasons for whitewashing, or lime-washing interior walls, the primary one being to lighten the room making it easier to see in the wee small hours. By lightening an interior, the structure appeared larger and roomier than when dark and drab. Whitewash was thought to deter vermin of various sorts, another important consideration, for even before the nature of common germs was known, some found the presence of roaches, flies, ants, mice, and other pests annoying. Whitewashing the outside of a building or fence sealed the wood and protected it from the elements. Even stone walls and structures were thought to benefit from being whitewashed as it sealed minute cracks and crevices and protected them from moisture and temperature extremes. Reducing the amount of moisture on the stones helped eliminate mildew and musty odor. – Eberlein, Harold Donaldson. The Architecture of Colonial America. 1915. Boston. There were those who thought whitewashing a building or roof rendered it incombustible, a theory first put forth in the medieval era when wooden houses were ordered to be whitewashed in an effort to prevent the grand fires that often destroyed major portions of European cities. – The Cultivator. Vol. 2. – New York State Agricultural Society. The ingredients in whitewash changed little through the 19th century, the common mixture being unslacked lime and water with salt added to keep the material from peeling off of the painted surfaces. The whitewash was sometimes thinned with milk, but whitewash differed from milk paint. Sizing could be used instead of salt to render the whitewash impervious to water, and later in the 19th century white vitriol (sulfate of zinc) was used. – Mechanics Magazine. Vol. 6. Oct. 7, 1826. To clean and brighten interior walls or ceilings that had been blackened by smoke from a fireplace, multiple books recommended adding a little indigo squeezed through a bag to the mixture. Various materials were added to whitewash to add color, such as Prussian blue, iron oxide, animal blood, yellow ochre, sienna, chrome yellow, verdigris, vermilion, Venetian red, etc. – Lea, Elizabeth E. Domestic Cookery, Useful Receipts, and Hints to Young Housekeepers. 1859. Baltimore. & Tegg, Thomas. Tegg’s Handbook for Emigrants. 1839. London. To Mix Whitewash. Pour a kettle of boiling water on a peck of unslacked lime; put in 2 lbs. whiting*, and half a pint of salt; when all are mixed together put in ½ ounce of Prussian blue, finely powdered; add water to make it a proper thickness to put on a wall. Records state that as early as the thirteenth century the practice of whitewashing buildings was common, even the interiors of churches were whitewashed. Extant notes from Henry VIII instruct whitewashing the Norman Chapel in the Tower and many other areas. Westminster Hall was whitewashed for the coronation of Edward I. – Notes and Queries. March 25, 1854. & Society of Antiquaries of Newcastle Upon Tyne. & Archaeologia Aeliana, or, Miscellaneous Tracts Relating to Antiquity. Whitewash was common by 1715 in the U.S. when William Barry documented the practice of whitewashing interiors by recording an agreement between a workman and a church in which the former was to whitewash the ceiling and walls of a meeting house in Farmingham, Mass. – Barry, William. A History of Farmingham, Massachusetts: Including the Plantation from 1640 to the Present Time. 1847. Boston. 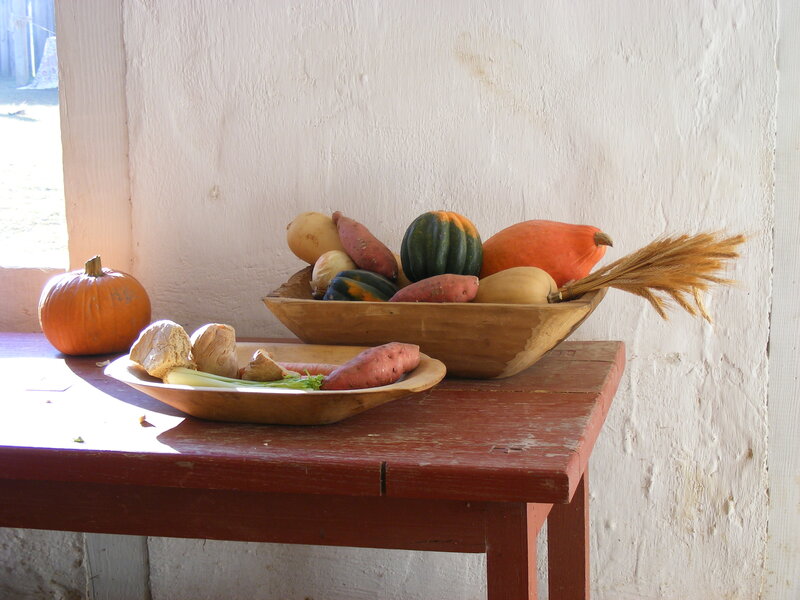 Whitewashed walls were often stenciled in distemper paint in Colonial America. Ann Eckert Brown wrote that a common color scheme was white, black, and red with the black and red applied over the whitewashed surfaces. – Brown, Ann Eckert. American Wall Stencilling, 1790-1840. 2003. University Press of New England. Durable Whitewash. I am enabled to certify the efficacy of marine salt in fixing whitewash made of lime. In the year 1795, when I was director of the naval artillery at the port of Toulon, I was commissioned to ascertain the utility of a method proposed by the master painter of that port, M. Maquilan, for whitewashing the ships between deck, and likewise their holds, in a durable manner, by means of lime. Our report was in favour of this process, which consists in saturating water in which the lime is slacked with muriate of soda, (common salt.) The whitewash produced by it is very permanent, does not crack, nor come off upon one’s hands or clothes. The experiment was made only on wood. It appears from M. St. Bernarde’s account, that it succeeded equally well on walls. – Smith, Robert. The Friend. June 7, 1835. Bib: City Cries. George S. Appleton, publisher. 1850. NY. The Southern Agriculturist and Register of Rural Affairs. Vol. 10. 1837. Urban, Sylvanus. The Gentleman’s Magazine: Historical Chronicle. June ©1810. 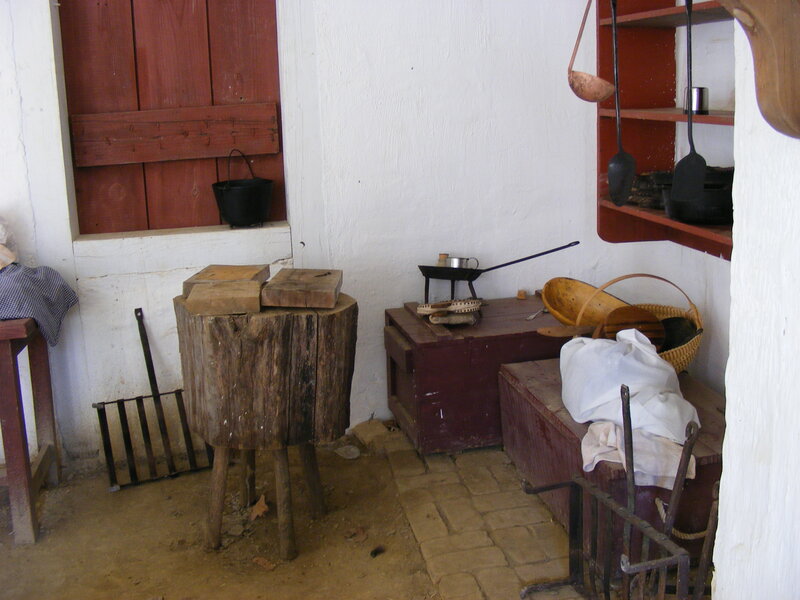 Fire was necessary for preparing meals, and in the days before matches were readily available having fire to cook with meant preserving the fire so that it never, or at least rarely, went out. The first fireplaces were merely holes in the center of the floor where a fire was built out in the open. The smoke rose and, as best it could, exited through the roof which was usually thatch. I find it fascinating that while my Scottish ancestors were building fires in this manner in the old country, my Native American ancestors were doing the same in North America. Some technologies are so basic they evolve simultaneously between different cultures. The second evolution in fire building was to move the fire up against a wall. There was sometimes an overhang which helped catch some of the smoke and allow it to exit through a hole in the roof. After several evolutions the fireplace as we know it emerged from that first central fire. If there were any large burning logs they were pulled off to the sides and allowed to go out at night. The hot coals that remained were raked up into a pile at the back of the fireplace, and a cover was placed over them. The cover allowed just enough air to get in around it to keep the coals slowly smoldering throughout the night so that come morning a bit of dry wood could be put on and the fire would quickly roar to life ready for the day’s meals to be prepared. The cover was called by several names, a carre-feu, curre-feu (“cover the fire”), or later a couvre-feu, ignitegium or peritegium. The word was later simply curfew. The bells which signaled residents to cover their fires and prepare for bed was the curfew bell. Some hated the laws that governed the times the curfew bells were rung claiming they were put into effect to keep groups from gathering after dark. I see the law, as did most of the 19th century writers, as primarily a preventative measure in the days when whole cities could burn down from stray sparks going up and out of the chimney and igniting a wooden roof. In villages where all the structures were wooden; and dry wood at that, if one house caught fire an entire village or section of a village often burned before it could be contained. By ordering the fires covered at the hour most inhabitants went to bed all could sleep soundly without worry of being burned in their beds before morning. The hour the bell was rung was usually eight or nine o’clock in the evening. Such practice was documented to the time of William the Conqueror about 1068, and similar customs were observed simultaneously in France, Italy, Spain, Scotland and probably all or most of Europe. The covers were used in Colonial America. Having hot coals in the morning with which to build the morning fire can only be appreciated by those who have had to arise on a cold morning and fumble around with building a fire when the fingers are so cold they will barely hold the materials. The utensil was appreciated by those who used it for keeping coals hot during the night without using expensive fuel. It should be noted that everyone probably banked their fire at night. Those without utensils to cover it simply raked ashes over the hot coals to seal out the air and keep the coals hot till morning. The British Archaeological Association described one made of copper that was riveted together, solder being liable to melt. It was 10 inches high, sixteen inches wide, and nine inches deep. They also described one of earthenware with brown glazing on it housed in the Boulogne Museum. That association pointed out that in some English books on antiquities the curfew had been erroneously described in saying its purpose was to quickly extinguish a fire when in fact it was the very opposite. They described the utensils as being extremely rare in England by the 1820’s, many of England’s buildings being brick by that time which were much less likely to catch fire. 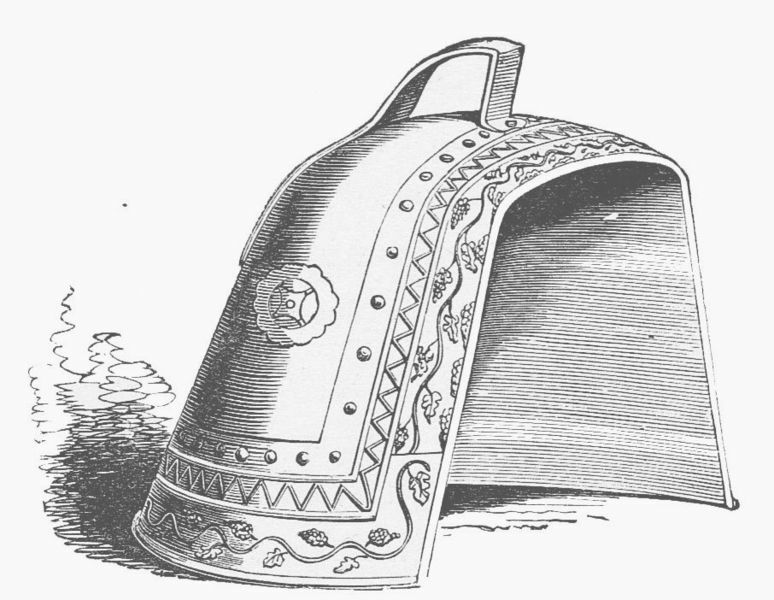 In France, however, a traveler wrote in 1890 a published account of his trip through France of hearing a bell ringing and when he inquired as to its purpose was told it was the curfew bell, signifying that in some parts of Europe the custom continued long after it had ended in England. In America, the custom of ringing the bell continued long after households stopped using the utensil to cover their fire. Since the bell was rung at the same time every day, those who could not afford time pieces knew the time when they heard the bell ring. British Archaeological Association. The Journal of the British Archaeological Association. 1849. London. Hone, William. The Every Day Book. 1825. London. Richard Bentley. Wayfaring in France. 1890. London. Webster, Hanson. American Classics for Seventh and Eighth Grade Reading. 1905. Boston.